​FA Cup action takes centre stage on the weekend as Millwall host Brighton in the quarter finals on Sunday looking to perform another giant killing at The Den. 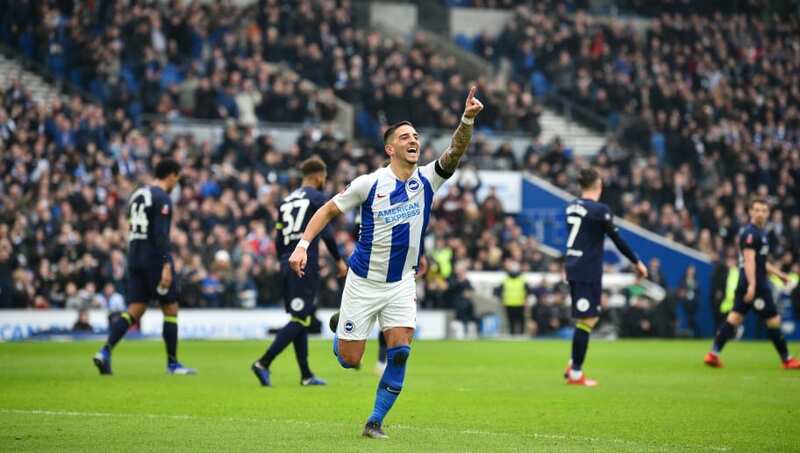 The hosts have already seen off Hull, Everton and Wimbledon to reach this stage while Brighton secured scalps over Bournemouth, West Brom and Derby to set up the tie with the Lions. Chris Hughton's side have won their last two matches to head into the game in good form while Millwall overturned a run of four straight defeats to beat Birmingham in their last fixture. Here's everything you need to know ahead of Sunday's FA Cup showdown. ​Brighton should have no reason not to field a full strength team on Sunday with no injuries to first team players ahead of the game. As the ​Premier League takes a break following the weekend's fixtures, it presents the Seagulls with the perfect opportunity to reach the semi finals against a side struggling in the Championship this term. Similarly, Neil Harris also boasts a side without key injuries as they look to reach the FA Cup semi finals. Despite their struggles domestically this season, Harris knows the importance of a good cup run and will put out a strong lineup with his side confident they can overturn another top flight club this campaign. It's the visitors who hold the slightest of advantages when it comes to clashes between these sides, with Brighton's 39 wins just surpassing Millwall's 37, and the other 24 encounters finishing level. The last time these sides met was back in 2015 in the Championship, when the Seagulls left The Den with a point after a 0-0 stalemate. In fact, the last five matches between the pair have all wielded close results, both sides have the one win as the other three ended in a 0-0, 1-1 and 2-2 draw, three scorelines which would take Sunday's match into extra time as quarter final replays have been scrapped this term. Chris Hughton's side make the short trip to London with renewed confidence after they emerged victorious on their last visit south of the Thames. A 2-1 win over bitter rivals ​Crystal Palace was essential in their quest for Premier League survival this season, and follows on from a narrow win over ​Huddersfield at the AMEX Stadium​ a week before. The hosts have endured an indifferent season, often finding any decent run of results is soon followed by an equally poor run - a trend that leaves them dangling above the relegation zone in 19th. A 2-0 win over play off chasing Birmingham ended a sequence of four straight defeats to move them one step further away from the Championship's bottom dwellers. With it now down to the business end of the competition, both clubs will be desperate to go one further and give their supporters a trip to Wembley for the semi finals. It's the kind of fixture where the form book goes out of the window and it comes down to who makes the fewest mistakes and adds that extra bit of quality to their game. Millwall will look to makes it a battle on Sunday, with their vocal home support providing the kind of atmosphere that makes the FA Cup so special. With all that said, if the hosts can make it to half time without conceding they will really fancy their chances of an upset, key to Brighton's game is their wingers and if Millwall can nullify that threat then there's every chance they can sneak a win. It will go down to the wire, but ultimately the bit of extra quality Hughton's side possess should get them over the line, just.